August 2011, Chicago IL – The groundbreaking new Masters clarinet mouthpieces were officially launched to enthusiastic trials and rave reviews at this year’s ClarinetFest 2011, held at California State University-Northridge in Northridge, California. The revolutionary new Masters series represents a whole new direction in clarinet mouthpiece design. With the new approach taken to the tip opening and facing length relationship and the innovative chamber adjustments, Vandoren has created a line of clarinet mouthpieces that are responsive, easy blowing and glide effortlessly through the entire range of the clarinet, all while maintaining a beautiful tone color and classic Vandoren manufacturing precision. The new Masters series includes two models – the CL4 and CL5 – and is available with a special MO ligature that is available in four finishes: pewter, black, silver and 24 carat gold. 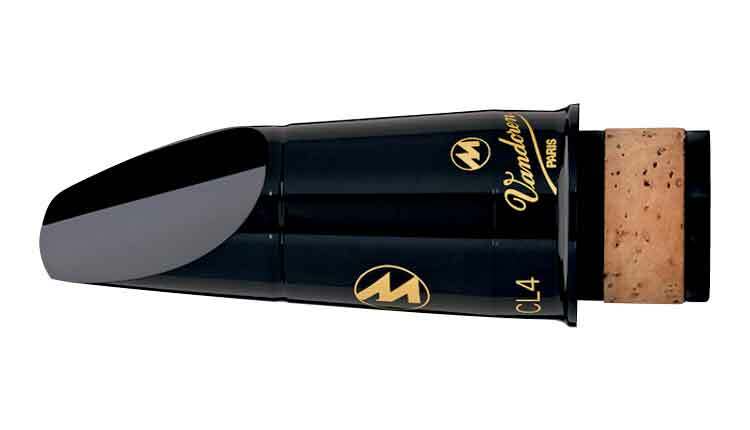 The new Masters mouthpieces were unveiled officially to an expectant crowd at the ICA ClarinetFest 2011 in Northridge, California. The response was immediate. Saxophone Mouthpiece Selection: How to Pick the Mouthpiece that is Right for You!